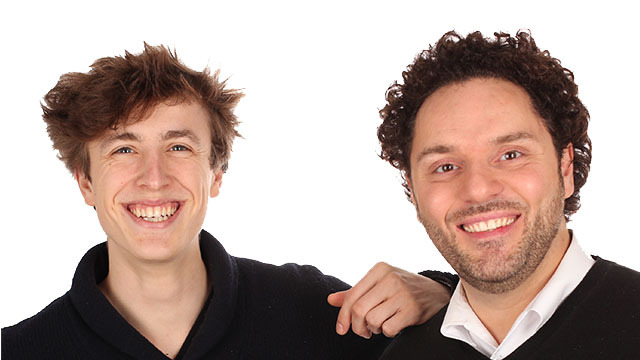 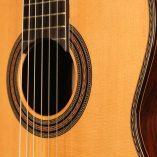 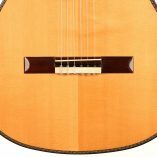 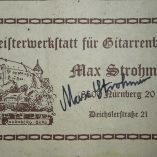 Max Strohmer is a German guitar maker from Nürnberg. 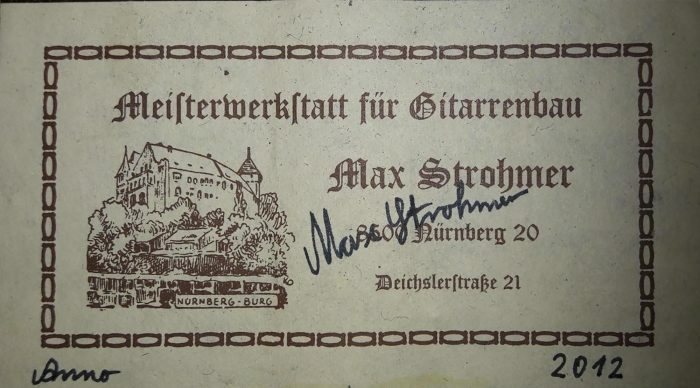 The Strohmer family has been building music instruments since 1908 and Max Strohmer took over the one-century-old family workshop in 1990. 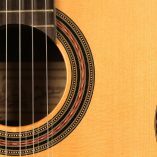 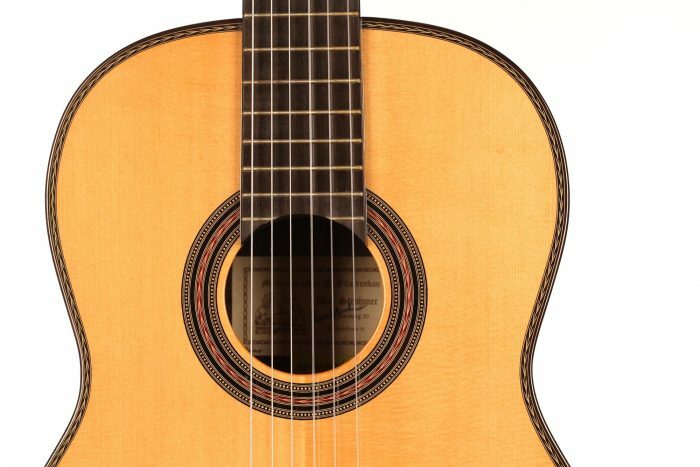 This guitar is a fine Torres model built in 2012. 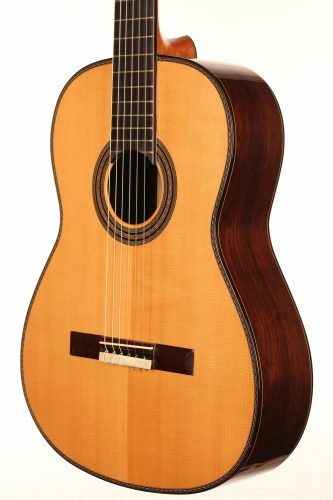 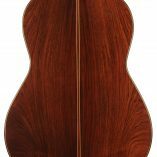 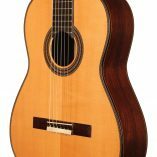 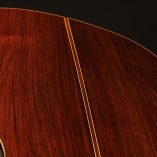 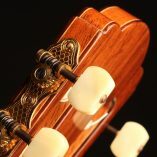 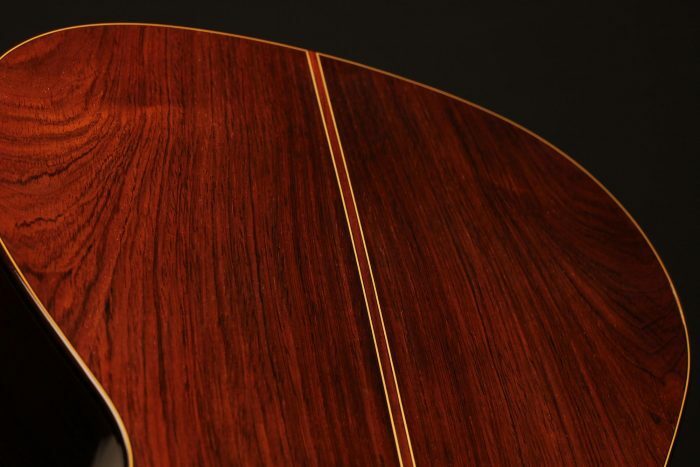 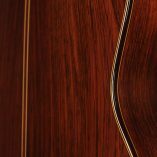 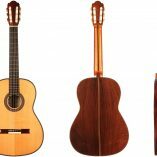 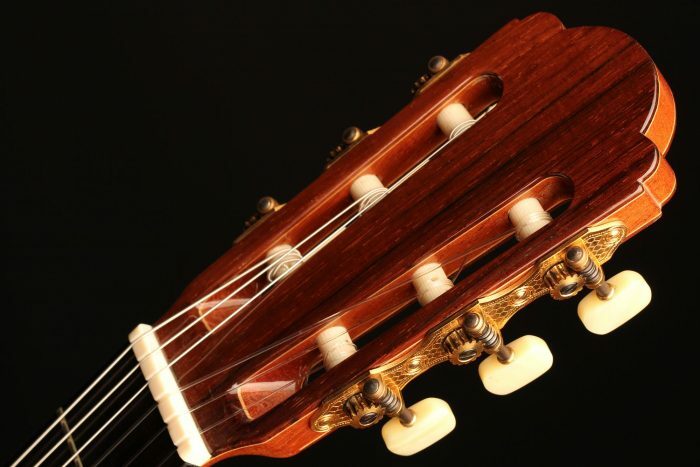 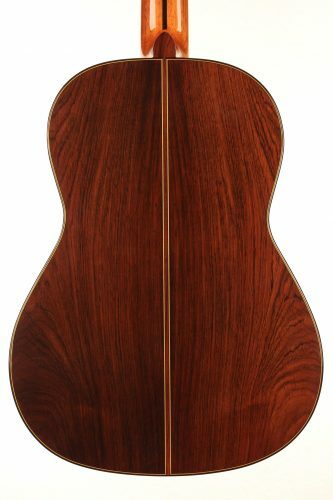 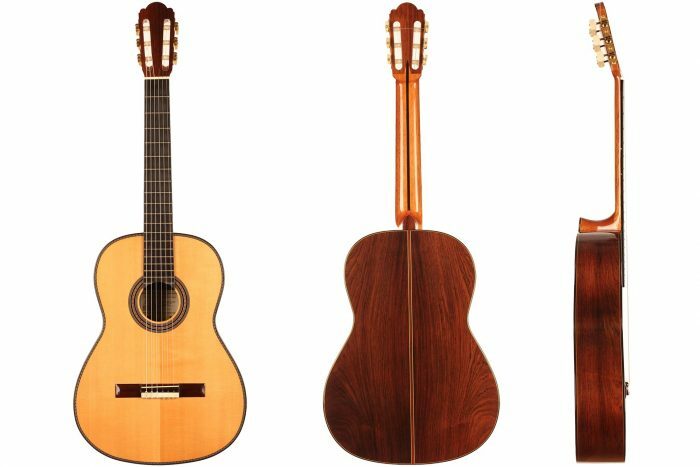 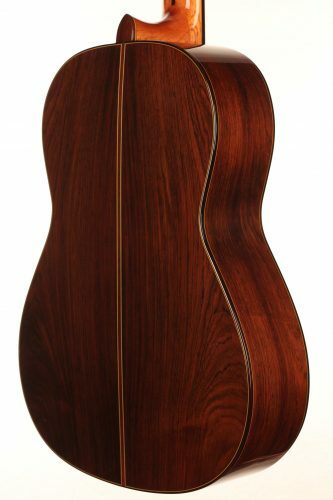 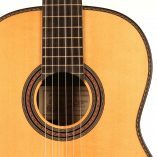 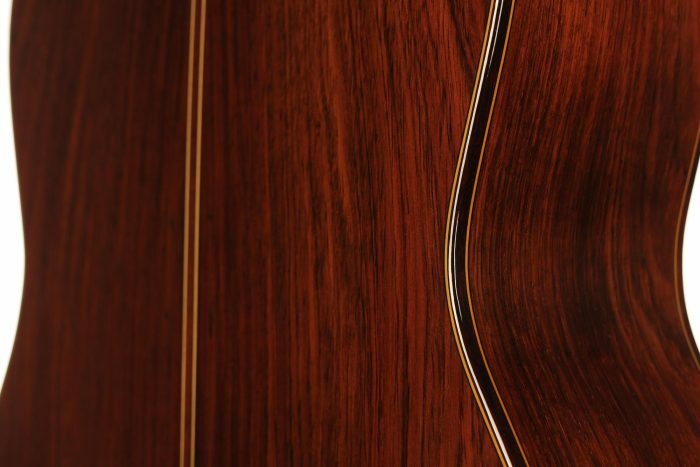 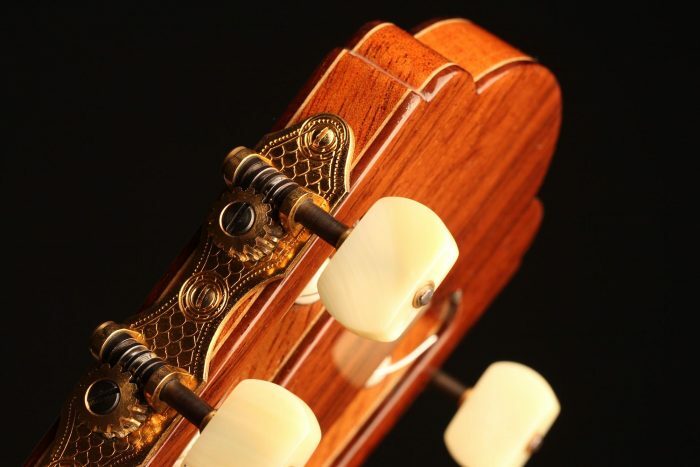 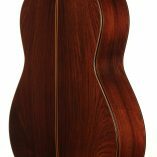 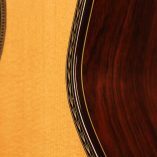 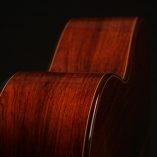 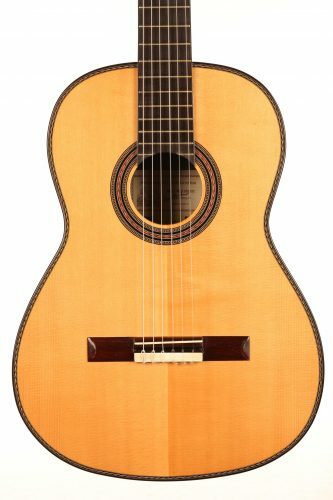 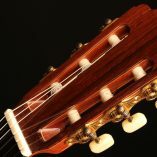 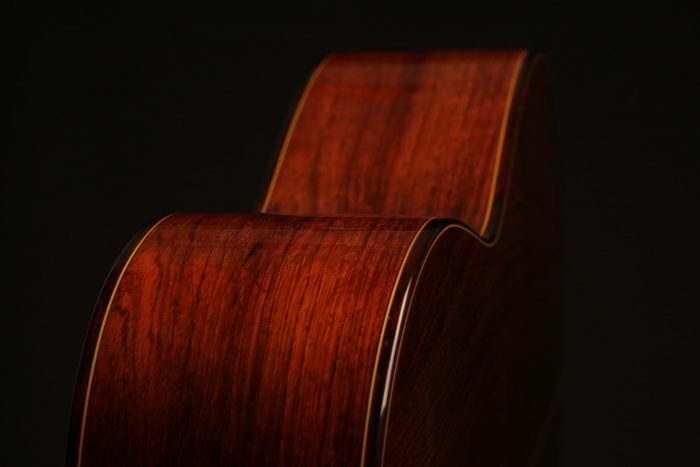 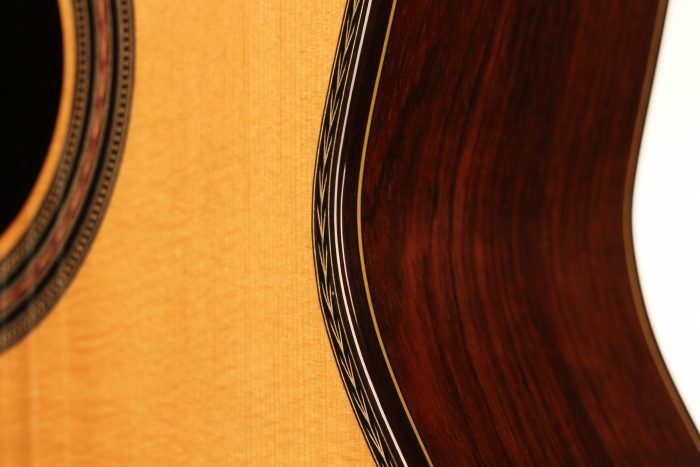 Back and sides are made of beautiful Brazilian rosewood (CITES certified) and high quality gold-plated Landstorfer tuners insure a very fine tuning. 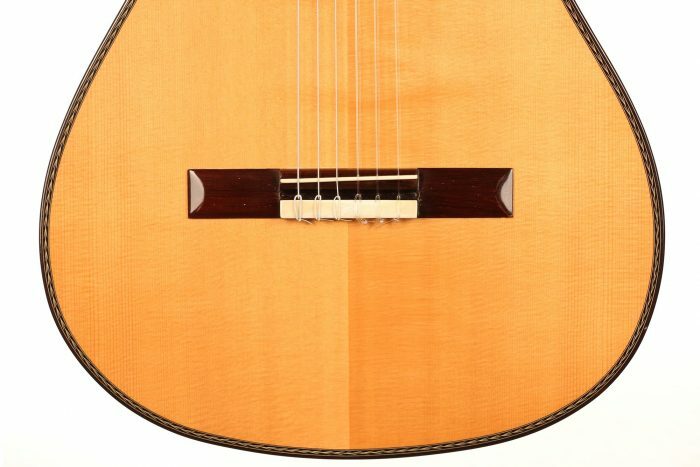 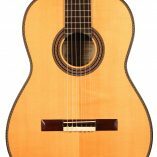 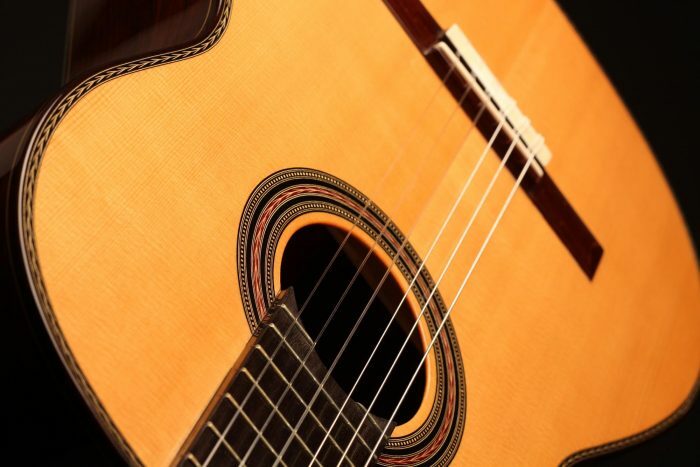 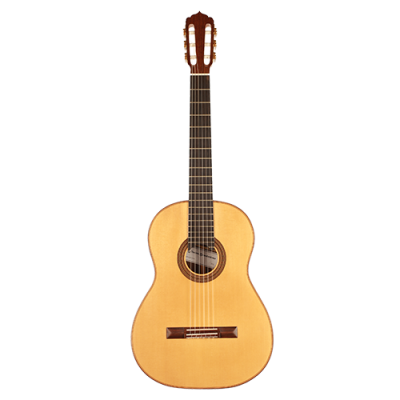 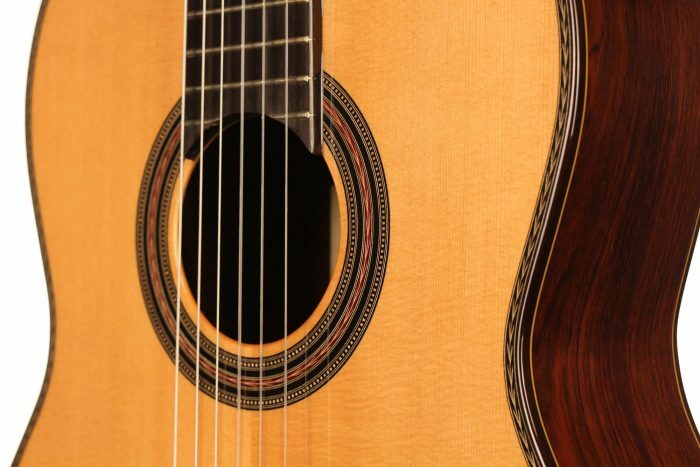 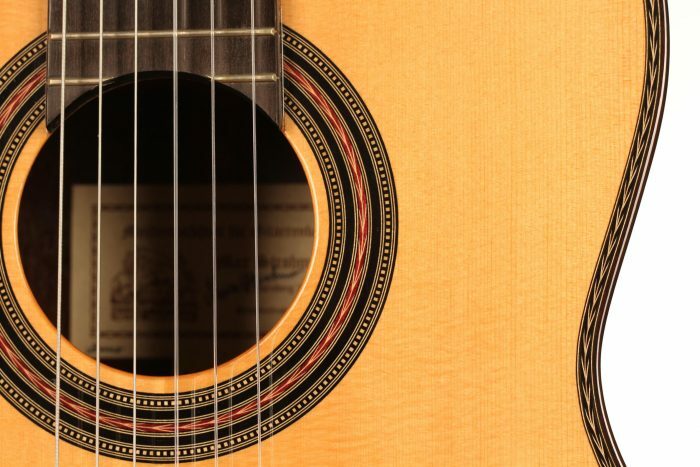 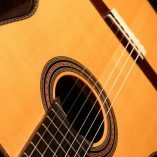 This guitar has a very sweet tone with strong open trebles and an orchestral polyphonic voice. 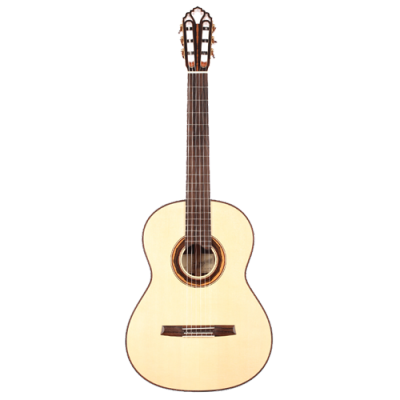 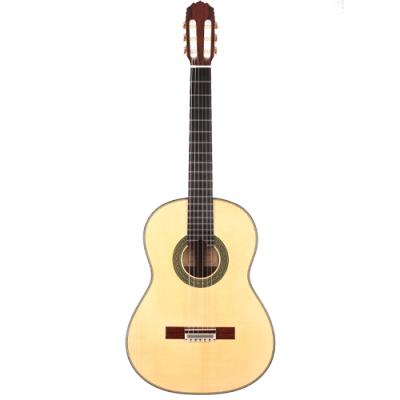 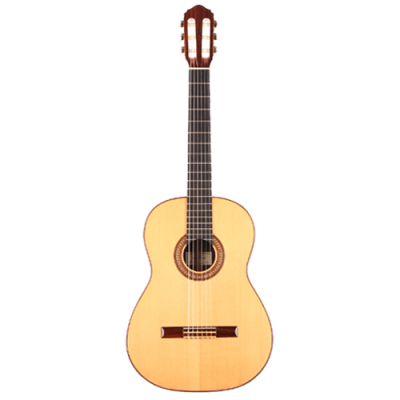 The overall rich sound and great playability make it a very good value for money.